Recent reports have suggested that Jeremy Renner will be reprising his Hawkeye character in a series currently in development at Disney+. One more Marvel show has been added to the new Disney+ line-up where Jeremy Renner will be reprising his Hawkeye character in a series currently in development. The latest TV series will not only focus on Clint but will also feature another fan-favourite character named Kate Bishop, reported Variety. Bishop is a Marvel Comics character who took up the Hawkeye mantle after Barton retired. She is also a member of the group known as the Young Avengers. The TV series is said to be based on the Hawkeye comics in which Barton passes the torch to the next archer to take on the mantle, Kate Bishop. It is reported to be an adventure series that will document Kate's training to become the Hawkeye of the Marvel Cinematic Universe, allowing Barton to officially retire. It is also reported to be a limited series for Disney+, much like the other shows that are based on MCU characters. Although there might not be a lot of episodes, it is one of the first shows that will truly tie into the events going on in the MCU. Hence, the set up of Kate Bishop will actually carry over into the Avengers franchise, allowing her to take Clint's place on the big screen. The synopsis of the show reads, "Clint Barton, the breakout star of a little Marvel movie you might have seen a while back, continues his fight for justice…and good rooftop BBQs! With Young Avenger Kate Bishop by his side, he’s out to get some downtime from being one of Earth’s Mightiest Heroes…but when the apartment building he’s moved into, and the neighbours he’s befriended, are threatened by a tracksuit-wearing, dog-abusing gang of Eastern European mobsters who say “bro” an awful lot, Clint must stand up and defend his new adopted family…any way he can." The Russos said only 2 of the O6 survive. The D+ shows are going to be heavily connected to the MCU(with the same actors, how can the not). The report of the limited TV series also confirms one news unintentionally for sure, i.e. 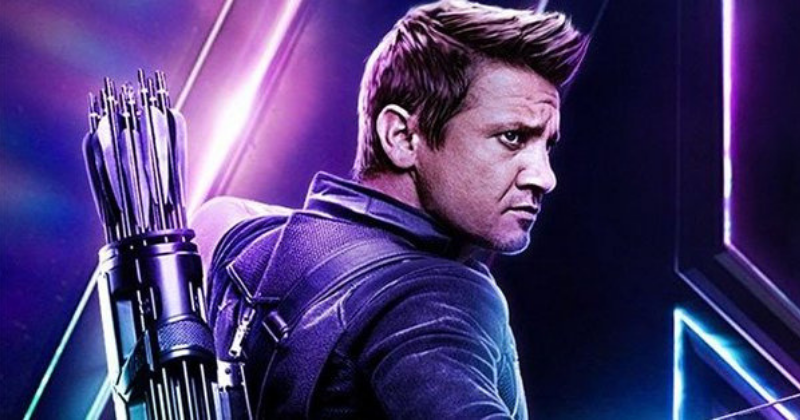 Hawkeye is going to survive 'Avengers: Endgame'. Of course, nobody has any idea what is going to happen in the movie and rumours persist that the film will involve some sort of time travel that resets the already established timeline. Keeping that in mind, it is also safe to assume everyone is going to survive the movie, but, then again, it is only a speculation. Another speculation is also making rounds on the internet that Kate Bishop will appear as a character in Endgame. In one of the trailers that have been released online, Clint is shown training a young girl to fire an arrow, but we don’t know for sure that it’s Kate. It could also be one of his kids, grown older. We’ll know for sure later this month. Apart from 'Hawkeye', Disney+ has plans for Marvel shows featuring Loki, Falcon and Winter Soldier, and Vision and Scarlet Witch and there is probably, even more, they haven’t announced yet. i realize my thoughts on the hawkeye show are confusing. i want a hawkeye show more than anything. i don't want a hawkeye show with jrenner. really, all i wants is a matt fraction hawkeye show and i feel like i've been a good enough person to have that! The Marvel TV Universe was previously owned by Netflix and had shows such as 'Daredevil,' 'Jessica Jones,' 'Luke Cage,' 'Iron Fist,' and the 'Punisher'. But, along with the launch of Disney+, all of those shows have been cancelled within the past few months.